I got this Cambridge Satchel Company neon pink bag about a week ago...and since then I have had mixed reviews from strangers. One person asked if I was a crossing guard. Others just politely commented on how bright my bag is. The girl at iHop loved it. I quickly realized that neon isn't for everyone and everyone can't "do" neon. 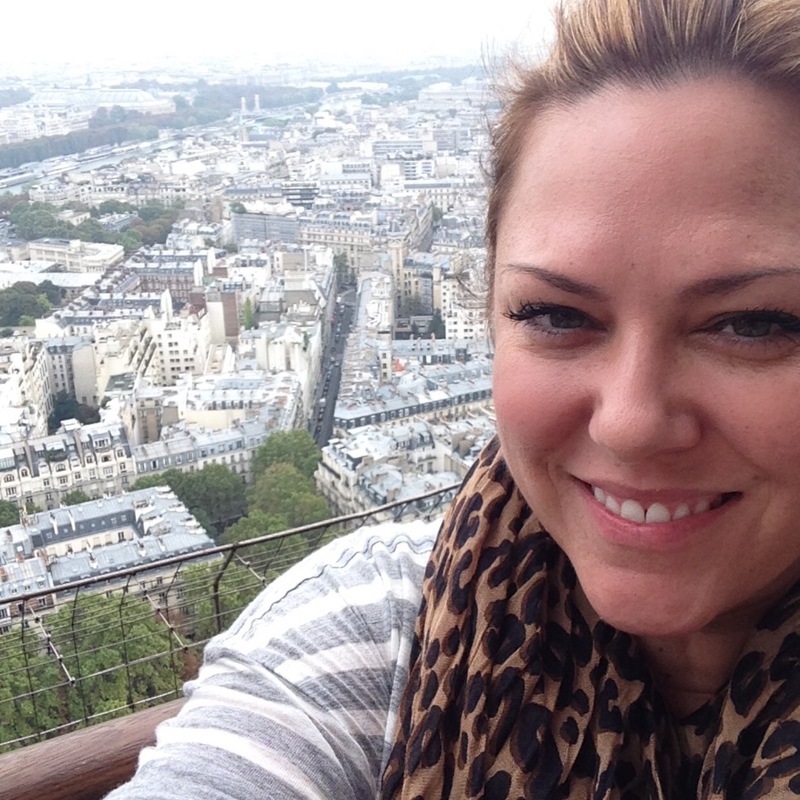 I am one of the lucky ones that isn't embarrassed by the comments, and boy do people love to comment on the color! So yes I am bright and possibly a crossing guard-either way...I LOVE my neon. 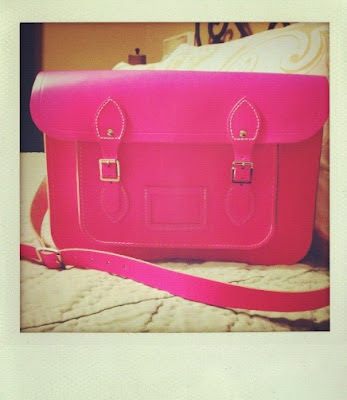 Some of my favorite neon Cambridge Satchel Company bag pics (below) inspired the purchase. Besides the neon fun, this is my second Cambridge Satchel bag so I obviously think the brand is great. I also have it in classic yellow. It is a sturdy bag that fits my iPad and all of my essentials. I love having the ability to wear it cross-body or use it as a large clutch, seen below. 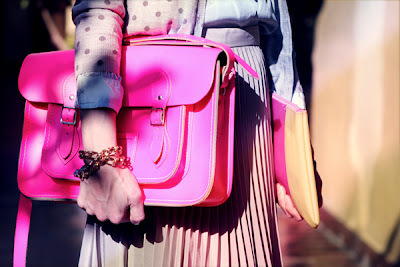 See the full range of Cambridge Satchel Company flourescent bags here. And, if you love neon as much as I do, check out my neon vintage fishing lure necklaces and tote bags-in my Etsy store.